The principle mission of the Village of Chester Police Department is to enforce all laws and ordinances in a fair and impartial manner through the prevention of crime, protection against criminal attack, loss or damage to property, and by preserving order in public places. It is essential that all members of the Department remember that in the execution of their duties that they act not for themselves but for the good of the community. They will respect and protect the rights of individuals and perform all police services with honesty, zeal, courage, discretion, fidelity and sound judgment without prejudice. The Department will at all times endeavor to cooperate with other law enforcement agencies, community agencies, groups, or departments to promote confidence, understanding, trust and competence from the public to achieve our police objectives. 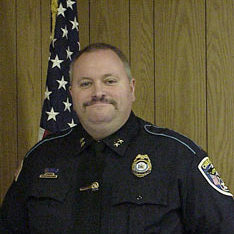 Greetings, and welcome to the Village of Chester Police Department’s Web Presence. The men and women of the Village of Chester Police Department are honored to have the opportunity to serve the citizens of the Village of Chester and host this interactive web site. Having had a history of serving the Village of Chester for over 60 years, we strive for excellence in meeting the needs of our residents and visitors alike by creating a safe and friendly community. We are proud of the way in which we interact with the community in our continuing collaborative problem solving efforts. I hope you find this site useful and visit it regularly for new information. The men and women of the Village of Chester Police Department are dedicated to the service and protection of the community. Please feel free to explore our site and related links. 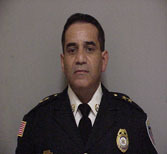 Chief Peter J. Graziano Jr. The Village of Chester was founded in 1845. 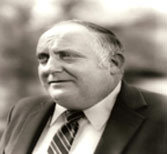 The first full-time uniformed Police Officer was hired in the fall of 1947. For many years prior to this, Harold “Slivers” Ringen was the Chief of Police at a salary of $100 per year. 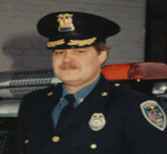 Chief Ringen was on-call 24 hours a day and generally took care of domestic and barroom disputes. The State Police handled traffic, felonies, etc. In the 1940’s Joseph Scandura and William Van Etten were also Village Constables. The first full-time Officer was in uniform eight hours a day/five days a week with Wednesdays and Sundays off and on-call 24 hours a day/seven days a week. Originally, no patrol car was provided. The Officer used his own car and was reimbursed for gasoline. After several years of this arrangement, the Village purchased a patrol car. 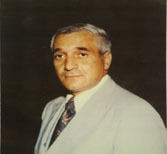 Paul Kreher was the first full-time Police Officer followed by Walter Lipsey, Frank Garvilla, Fred Deshler Jr., Vic Roggia and Roger Phillips. Though many incidents illustrate their dedication, a good many hours were spent in serving the general public from crossing school children to assisting a lady trying to park her car. Always known by their first name and treated more like a favorite Uncle than a Law Enforcement Officer, the residents relied upon the Police for that helping hand when needed. Occasionally, serious encounters took place. A labor incident at Chester Cable where a non-union worker crossed the picket line and was threatened with tar and feathers caused the Police of Chester to take action and restore order preventing serious offenses. The New York State Division of Criminal Justice Services/Office of Public Safety certifies the modern Police force. Their dedication exemplifies the small town Police of our country.